Great place for the price - good location, neat and tidy rooms, towels, hot bath - everything available . The apartment, especially bathroom needs to be renovated. Just don't liked room. Sleep for one night it is ok, but not for longer. 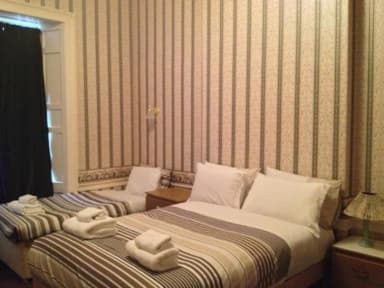 190 GBP for room with 3 bed is too expensive. Overpriced and falling apart... the toilet was on a lean for Pete’s sake!! The rooms looked nothing like how they were portrayed in the photos on the website. There was wallpaper peeling, black mold in the shower, and huge dust bunnies under the bed. The window was also broken, so we were constantly woken with the wind. With this being rather far away from the city centre, I would not recommend coming here again. I'm very dissapointed. Hotel is really poor. Internet didn't work, shower was broken, the room and bed are too small. Staff were unprepared. Location is far from downtown. My son slept on the floor!! I paid a really a lot of money for only 1 new year night (£160). 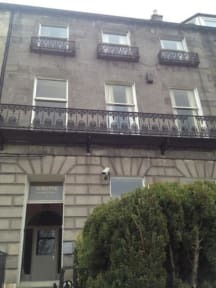 I felt robbed and dissapointed with Hostelworld who offer this hotel to me in website. I demand reimbursement.